Singh will run in the riding of Burnaby South. It is being reported that NDP Leader Jagmeet Singh will run in the Burnaby South seat being vacated by current NDP MP Kennedy Stewart. Stewart is leaving Parliament to run for Vancouver mayor, meaning a byelection is upcoming. The move is a risky one for Singh, as the NDP only won the seat by 547 votes over the Liberals in the 2015 election. 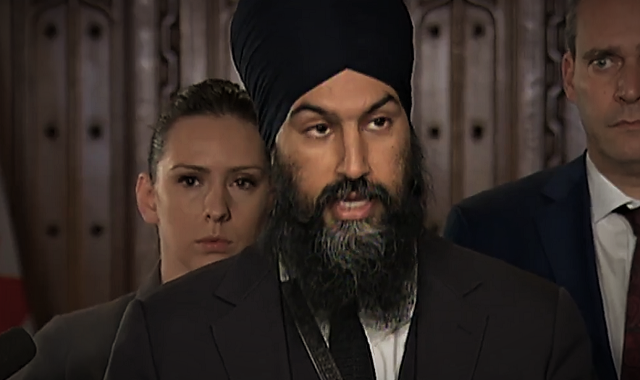 And while the Liberals aren’t as popular as they were then, neither is the NDP, as Singh’s underwhelming leadership has led to a loss of support and serious fundraising struggles. At this point though, Singh is facing mounting criticism for his lack of a seat in Parliament, and his poor handling of scandals including the Khalistani controversy. He needs to at least try and get a seat.